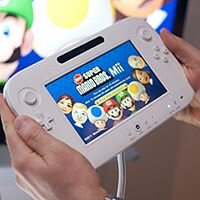 The Wii U, expected to ship during the second half of 2012, is to come with NFC functionality built into its next-generation controller, allowing players to interact with NFC-enabled figures and cards as well as to pay for games and other items. The Wii U, Nintendo‘s next games console, will come with NFC, the games giant’s president Satoru Iwata has announced during an investors’ briefing in Tokyo. NFC will be built into the Wii U’s controller, a next generation device with a 6.2-inch screen that can be used independently of the console, allowing it to be used for a wide range of innovative new functions as well as acting as a traditional games controller. The NFC functionality will allow players to interact with games-related figures and cards as well as to make payments, Iwata told analysts earlier today.